Summer is just around the corner. That means it could be time to invest in a new air conditioning unit for your home. We are all looking for ways to save money, and living in the Bradenton area of Florida means that during the summer months, our air conditioners are running almost all of the time. So having an economically friendly ac unit is a great way to conserve both energy and reduce our greenhouse gas contribution. 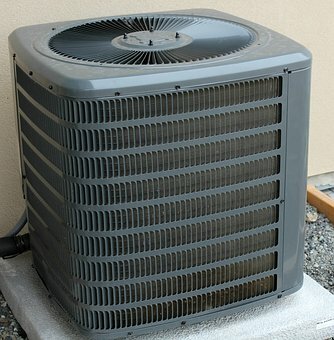 These tips will help you to find the best economically friendly ac unit for your home. Find the right sized ac unit. A unit that is too small won’t properly cool your home and will run up the electric bill. Two staged compressors automatically compress less air on cool days and more on hot days in turn saving more money. It’s the air compressors that typically use the most energy. Choose a unit that is either a High SEER or has an Energy Star label. Units with these types of labels and ratings can use up to 50% less energy than other types of units. These units can save on your electric bill and reduce your overall energy consumption. It is also a good idea to choose a programmable thermostat. It’s easy to program your system to stay off or at a warmer temperature when you’re not home or to set it to cool when you’re about to get home for the night. Take advantage of regular air conditioner maintenance plans. Having your AC unit inspected and serviced on a regular basis by a professional can increase the efficiency of your system, as well as prolonging its useful life. Contact LaPensee Plumbing Pools and Air for all of your Air Conditioning needs. We will help you find the right air conditioner for your home, or help you service the one you already have.